Stationery shopping doesn't just happen once a year when the kids first go back to school, in most households it happens at least every term and sometimes even more frequently than that. 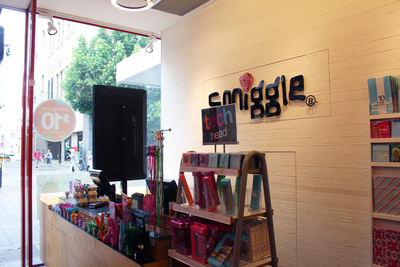 Smiggle might not be your cheapest stationery option, but most kids fall in love in minutes. Smiggle is all about the colour. Everything comes in bold shades of purple, pink, yellow, green, and blue. There are shelves filled with note books, pens, erasers, and even diaries and storage boxes. 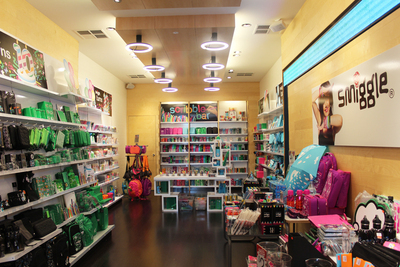 It's the ideal stationery shop for kids; it's fun and exciting, and it caters to all of the things that kids want from their stationery. Everything is well organised and colour coded. Signs with discounted prices and specials are always tempting for kids, it's also good to see that you can give them several dollars and they'll still be able to come up with a whole bag of small things. One thing to keep in mind is that some schools are a bit strict about what kids bring to school. While there will surely be not problems with pens or coloured pencils, don't go ahead and buy all your school books here only to find that the kids can't actually use them at school. 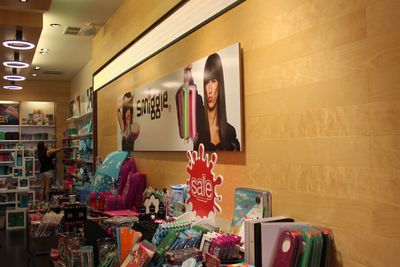 The 11-year-old and 8-year-old absolutely love Smiggle, and have huge collections of their things. The eldest's favourite are the gel pens and the erasers (that come in so many different shaped), but she also likes how all of the quality is just so good. Even the 4-year-old loves to steal her sisters erasers. The 13-year-old on the other hand would much rather shop next door at kikki.K or head out of the CBD to find a Typo store. The CBD store is hard to miss, with its bold sign being seen a mile away. It's the fallback quite often when you can't think of presents to give, or ones you'd like to receive. 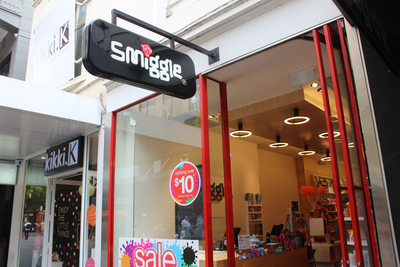 Are your kids a fan of Smiggle? 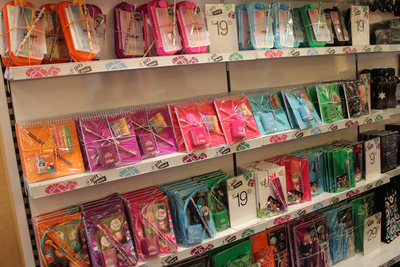 Where do you get your school year stationery supplies from?